Timothy "Bo" Burns, 58 of Dyersburg, Tennessee died on Wednesday, December 5, 2018, at his residence in Dyersburg, Tennessee. Born Tuesday, July 5, 1960 in Dyersburg, Tennessee, he was a retired employee of Lovejoy Farms. Graveside services for Mr. Burns will be 1:00 PM on Friday, December 7, 2018 at Church Grove Cemetery in Newbern, Tennessee. Officiating this service will be Bro. Mac Daniels. Visitation will be Friday from 11:00 AM until 12:30 PM at Johnson-Williams Funeral Home. He is survived by one son, Matthew Burns of Dyersburg, Tennessee; one daughter, Crystal Byrd of Atoka, Tennessee; his mother, Shirley Ables of Dyersburg, Tennessee; former spouse, Tonya of Dyersburg, Tennessee; one brother, Robert Ables of Dyersburg, Tennessee and one sister, Polly Chamberlain of Dyersburg, Tennessee. 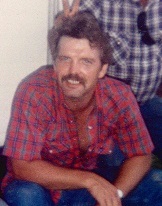 He was predeceased by one brother, Larry "Red" Ables. Online condolences may be made to the family at johnsonwilliamsfuneralhome.com. Johnson-Williams Funeral Home is honored to serve the family of Timothy "Bo" Burns.